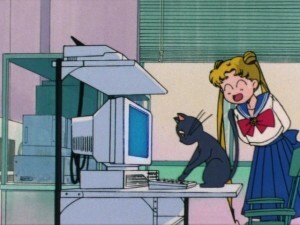 We here at Sailor Moon News have been working hard to weeks in getting the site ready for launch and we’re happy to finally share it with the world. For years I’ve wanted to do a Sailor Moon news site but with so little going on it was to hard to justify. After last month’s announcement of a new Sailor Moon series I immediately knew it was finally time to do this! 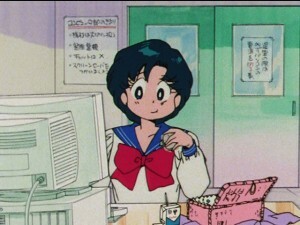 We want SailorMoonNews.com to be your source of all kinds of Sailor Moon News from the new 2013 anime series to anything related to the old manga, anime, live action series and merchandise related to all of these. Please bookmark us, follow us on Twitter, Facebook and Google+ and we’ll do our best to be the greatest Sailor Moon News site we can! In anticipation for the site’s launch we’ve migrated some relevant posts from our parent site Powet.tv and we’ve also written some new stuff as we get things ready. We’re hoping this gives you a good idea of the kind of site we hope this will become as news of the new TV series becomes more frequent and we do our best to share it all with you. There’s been pretty much no news about the show since the original announcement but we’re as anxious as you for this to change. Just who are we? The site will be maintained up and updated by Captain Genius and myself, Adam Gardner. We’re both fans of Sailor Moon from back in the day looking forward to see the franchise have some new life breathed into it. Feel free to drop us a line via our contact page to let us know of any news or content you feel we should be covering on the site. Also if you’re bored check out my embarassing first crack at a Sailor Moon fan site from 1997 at The Sailor Moon Page of Funk! and my only better by comparison Sailor V page The Sailor V Page of Funk! This entry was posted in Meta and tagged Site News by Adam. Bookmark the permalink. I want more games & more movies of sailor moon.